Saucy Salamander input methods are a mess! Ubuntu 13.10 Chinese input methods are an unfinished mess. Move on to Ubuntu 14 where such problems are easier to fix, or if you don't need touch-screen support I recommend the staying with the last LTS release, 12.04. At minimum, your 13.10 floating language panel will be missing, which for example will prevent changing the Chewing input method from Zhuyin to Pinyin. There is also no Settings item on the language menu to replace that. And you will probably find other problems in 13.10. One suggestion there is to replace Ibus with fctix. In my opinion, the fact that the Ubuntu Kylin project has already gone with fctix is a very strong recommendation. See my Ubuntu 14 input FAQ for more information on fctix. 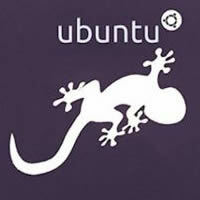 Stay with 12.04 LTS if at all possible, or move on to Ubuntu 14 if you realy need new features like touch screen support. If this is resolved and I don't update this page fast enough, or if you have additional suggestions, please let me know.